Visitors to Westport Park can now look forward to wider shared pathways, new lighting, seats, shade trees, bubblers and bike racks. The master plan aims to provide a world-class walking track to showcase our coastline from Westport Park to Tacking Point Lighthouse. 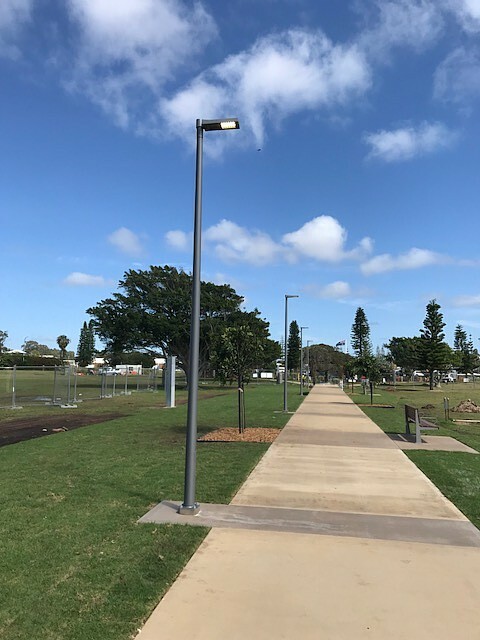 GM Poles was proud to provide Port Maquarie – Hastings Council with 20 tapered round painted poles to suit WE-EF VFL520 LED area lights for their new footpath.